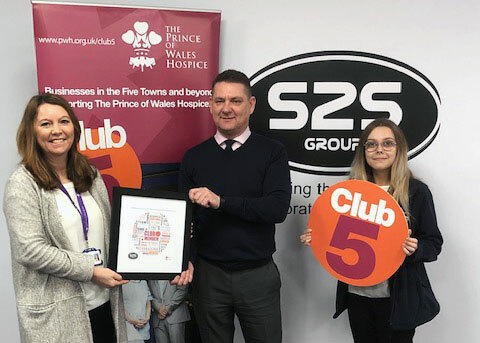 S2S Group are the latest member to join The Prince of Wales Hospice’s exclusive business club, Club 5. As their 40th corporate member to sign up, we’re excited to be part of the network and to be involved in supporting such a great initiative. Club 5 represents a number of like-mind businesses, who all work in partnership to make a difference and raise funds for the hospice, in efforts to improve 24-hour specialist care for local patients with life-limited illnesses. As we already work alongside the Charity by offering our IT recycling services free of charge, we couldn’t have signed up to the club any faster. It’s our objective this year and our pledge, to raise £1,000 in aid of The Prince of Wales Hospice to celebrate their 30th Anniversary through collecting donations and getting involved in a number of fundraising and teamwork activities. As part of their 30 for 30 campaign, our team will be taking part and reaching their limits in events such as marathons and cyclotrons to raise funds for the hospice. We hope to work amongst other club members in the group to raise over £30,000 for the Prince of Wales Hospice in 2019. To find out more about Club 5 and how your business could get involved, please learn more here.